This guide explains how to make basic editing on your MP3 or other audio files. If you are music enthusiastic and you’ve got a collection of MP3 songs, there are chances you’d want to edit some of them so as to enhance your music experience. A good audio editing tool should be feature-rich and user friendly and thus a novice without any professional skills would be able to manipulate your audio file anyway you like. Read on to learn the process of slicing a song into small fragments or fading in a song the quick and easy way. To begin with, get a free trial copy of Wondershare Audio Editor. The tutorial below will walk you through the MP3 editing steps in detail. Note that it's just for Windows users. If you are a Mac customer, and also want to refer to the detailed steps on how to edit MP3 files, you can go to Guide for Mac MP3 editor. Click "Import" option to import MP3 files from your computer to the album of this MP3 audio editor. Or you can directly drag MP3 files from the computer to the User' album. After that, drag the MP3 file you want to edit from your Album to the Timeline at bottom. If you want to merge several MP3 files, here, you can drag them together into the Timeline. Note that you don't put one file to another unless you want to split it. 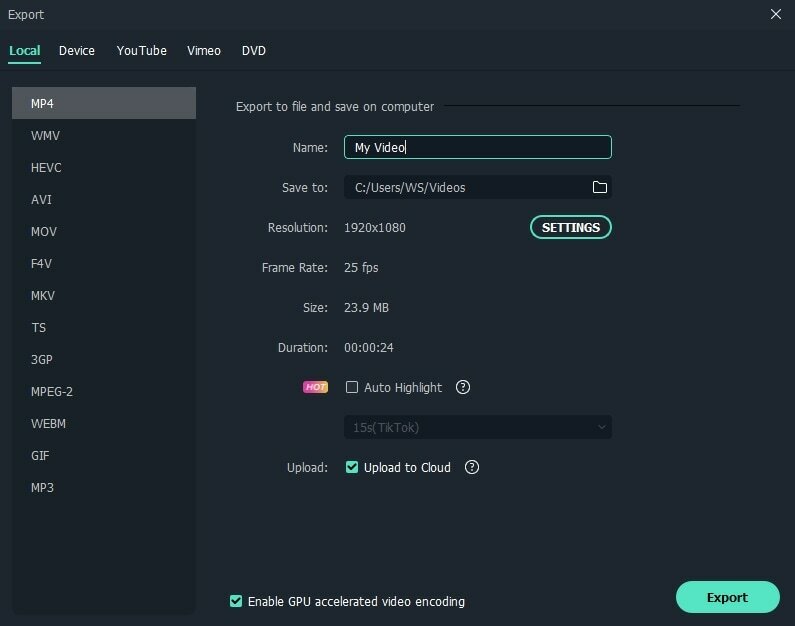 Select your wanted audio clip on Timeline and then click Edit button to open the editing panel, where you can change the speed, volume, add effects like Fade in & out, and Pitch. If you want to trim a MP3 clip to the specified length, click the audio clip, mouser over its left or right edge to show the "double arrow" indicator, and then drag it to any length you want. To split a MP3 clip, you need to select it by clicking, drag the top of the red Time Indicator to any position you want, and then click the scissor-like button. To delete you unwanted MP3 parts, you just right click it to select the "Delete" option. Note: You can view all the editing effect in real time as long as you press the Play button in Preview window. If you don't satisfy the editing effect, just do it again. When you've finished the MP3 editing job, click the "Export" button to export your masterpiece. At this time, you have four options: Format, Device, YouTube, Facebook, Vimeo and DVD. You can click the Format tab and then choose MP3 as the output format. Or, you can save it to other formats or to devices. After that, you can get a new MP3 file in your selected output folder.